It's hard to believe it is hockey season already. 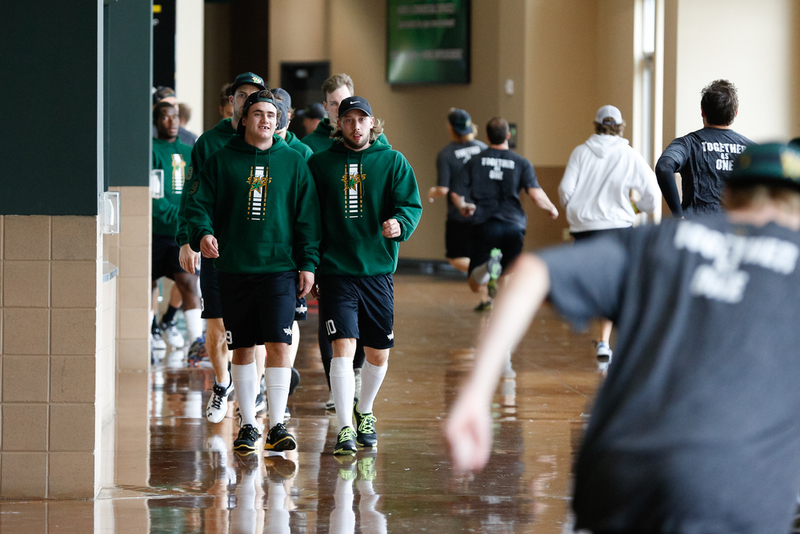 The Texas Stars are the Calder Cup champions of the AHL last season, which meant they played all the way into mid June and I was along for the ride documenting their journey. Training camp for the new season began this week and I stopped by a couple of mornings to get a few shots of the returning veterans and many potential new recruits. There are lots of changes for the team this season. The success of the team last season meant that a lot of key people have moved on to the next level - players, coaching, and operational staff. Lots of new faces this week. There is also a lot of training and acclimation to be done in a very short time. Things move quickly in this sport. While the players are working hard on and off the ice, this week is also a training camp for me. Hockey is a difficult sport to cover with a camera. The lighting isn't the greatest and the players move incredibly fast. I need to get reacquainted with my gear. I've come to prefer my Fujifilm X-T1 for almost everything and I've shot almost exclusively with it over the summer. Sports is not its strength though and it is time to dust off my Canon 5D Mark III. I'd forgotten how heavy my sports rig is over the summer! I need to get used to tracking fast moving players again. The team is listening and learning from their new coaching staff. I'm listening too. I need to understand how the team plays. 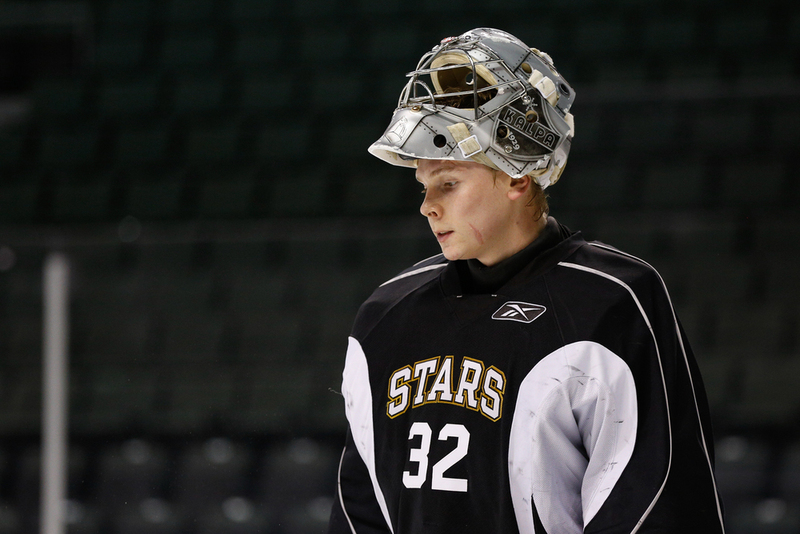 Knowing where the puck is going to end up is crucial to getting the best action shots. I'm also fine tuning my gear and shooting technique. Some changes are planned for the new season. I'll be trying to shoot in tighter to bring the viewer in as close as possible to the action. My 70-200mm f/2.8 lens limits how far I can reach onto the ice. I'm actually considering returning to a crop sensor camera over full frame in light of new product announcements lately. There are a couple of things coming out of the recent Photokina photo industry conference that I'm anxious to evaluate when they hit the market. I'm also working on streamlining my workflow. The biggest decision I've made is to return to shooting JPEG files. I've enjoyed the malleability of a raw workflow in the challenging lighting environment that I work in at the arena. However, it takes a lot of extra time to process raw files and tons of extra storage space to keep them around. Yeah, I know storage is cheap but...well, that is a topic of discussion for another time. Shooting in JPEG allows me to hand over files much faster than a raw workflow. It gives me a much deeper buffer when blasting through a long action sequence. It does, however, place more demands on me during the games to ensure good exposure and white balance (things I should be doing any way, right?). More work up front but an easier time post game. We'll see how that goes. There is another long season ahead. 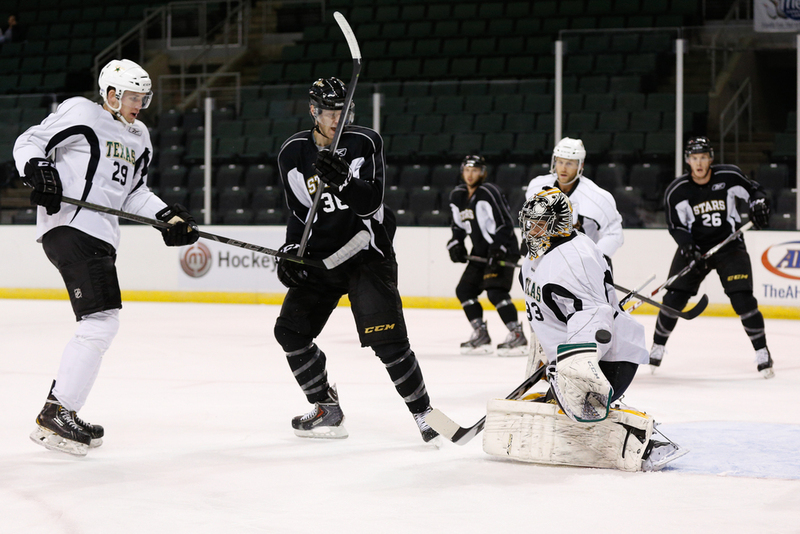 The team won the Calder Cup last season and now the guys must fight to keep it here in Cedar Park. 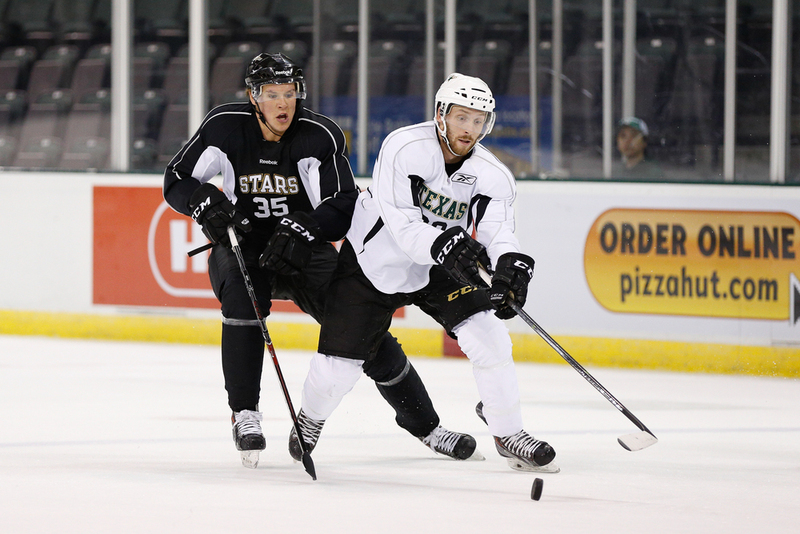 There are 3 pre-season games this weekend - a flurry of action and when the dust settles next week the Texas Stars will have a core roster of players in place to start the season next weekend. They will be raising their championship banner in a ceremony on opening night. I can't wait. Game on!